An individual with lab-confirmed measles stopped in the Edmonton area on Feb. 12 and 13 while en route from Vancouver to Inuvik, Alberta Health Services said in a news release Sunday. Acknowledging that "measles is only one plane ride away," Alberta has issued a health alert for a handful of locations in and around Edmonton International Airport after diagnosis was confirmed on an individual who spent 19 hours in the area on a layover. 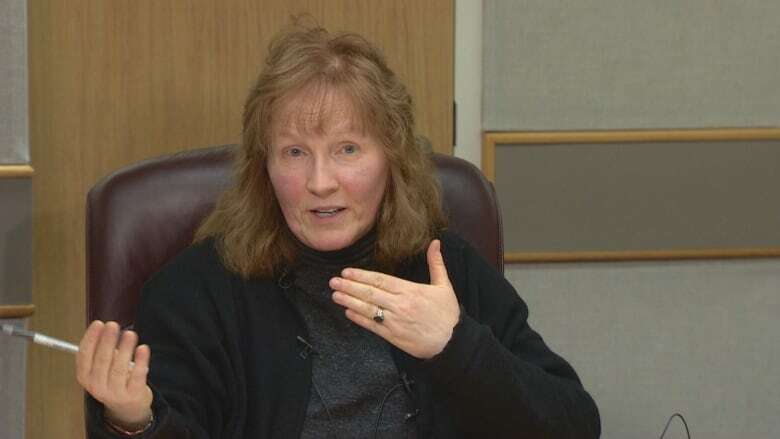 "Because we have so much measles virus circulating in the world, we're going to see more outbreaks of measles from travellers," Dr. Gloria Keays, Edmonton's medical health officer, said a news conference Sunday. "At any time, measles is only one plane ride away." An individual with lab-confirmed measles stopped in the Edmonton area on Feb. 12 while en route from Vancouver to Inuvik, Alberta Health Services said in a news release Sunday. Between 1 p.m. MT, when one flight touched down, and 7:45 a.m. on Feb. 13, the person — who was infectious at the time — posed a risk to passengers on two flights, the users of two shuttles, shoppers at a Walmart, and travellers staying at a hotel in Leduc, Alta. People who were in those places at those times may have been exposed to the extremely contagious, airborne virus — even if they never were physically face-to-face with the infected individual, Keays said. "At this point, we're asking Albertans — if you were in those places at those particular times — that you monitor your health, monitor yourself for any new symptoms up to about March 5." 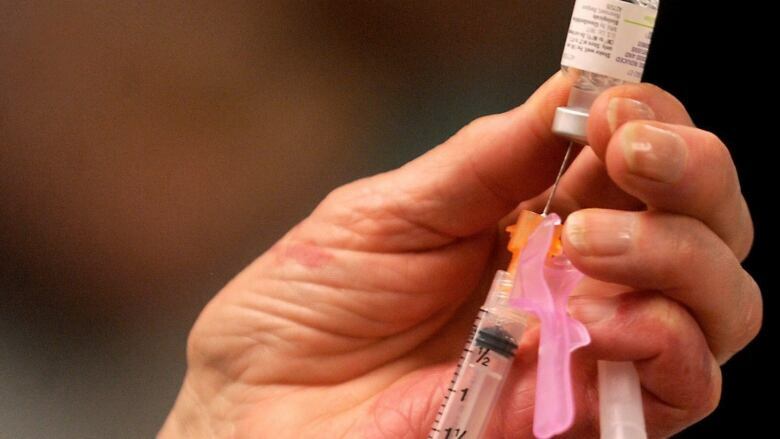 The warning is particularly directed at people born after 1970 who have not already had the disease or who have not received two doses of measles vaccine, AHS said in the news release. Flight from Vancouver to Edmonton on AC236, which arrived in Edmonton at 12:54 p.m. The Edmonton airport hotel shuttle which departed from the terminal at about 2:30 p.m., stopping at four Leduc hotels: Paradise Inn and Suites, Crystal Star Inn, Wyndham Garden Edmonton Airport and Wingate by Wyndham. The Walmart Supercentre on Discovery Way in Leduc, between 5 p.m. and 7 p.m. The Stars Inn Hotel on Sparrow Crescent in Leduc, after 3 p.m. The 6:30 a.m. shuttle from the Crystal Star Inn to the Edmonton airport. Canadian North flight from Edmonton to Inuvik on 5T-444. That flight travelled through Yellowknife and Norman Wells. Similar warnings have already been issued in Vancouver and Inuvik. Measles is a highly infectious disease that spreads through the air, through coughs or sneezes, or by touching a surface contaminated by the virus. It can remain airborne for two hours. It can also be spread through contact with an infected person, like sharing food, drinks, toys and cigarettes. Keays said the symptoms, which can appear between seven and 21 days after exposure, include fever, red or inflamed eyes, sore throat runny nose, dry cough or tiny white spots with bluish-white centres inside the mouth, known as Koplik's spots. She also said to watch for a red, blotchy rash which starts on the face and spreads down over the trunk. Keays noted, however, that the rash usually starts after the other symptoms. "If you have any of those systems, and were in any of those places at those times, please, please stay home," Keays added. "Don't go to school or to work." Instead, phone the provincial Health Link service at 811, which will assess and advise on next steps, she said. There is no treatment for measles, which can vary in degrees of severity, she said. Vaccination, delivered through the MMR vaccine, is the best defence. People who have had one dose of the vaccine are 95 per cent protected. That increases to 99 per cent for those who have had both doses, she said. Mass protection comes when at least 95 per cent of the population is immunized. In Alberta, Keays said, that number ranges from the high 80s to the low 90s. For Albertans who don't have access to childhood immunization records and aren't sure if they've been immunized, Keays recommended contacting the public health officer or Health Link and ask for a search to be done within the database. "In a situation like this, it's really useful to have your immunization records in hand," she said. In B.C. 's Lower Mainland, there are now 13 cases of measles. One of the cases involved a teen who was infected during a family trip to Vietnam. Another case involved a man who had travelled to the Philippines. "Measles is becoming more common in the world. We have, right now, three outbreaks going on in the United States and one in Vancouver. There are outbreaks in other countries, including the Philippines and there have been outbreaks in the last year in more than a dozen countries in Europe," Keays said. "Very often, people with measles are not obviously ill when they are infectious, so it's important to be vaccinated before you come into contact with someone with measles."